First-Base Trappers There are 2 products. Designed with the young, avid travel baseball player in mind, the Omaha® requires minimal break-in thanks to its soft leather construction. With a line of six professional patterns to outfit every player on the diamond, no glove helps you cover more ground. 125 SERIES. SUPERIOR FEEL. CAPABLE CONSTRUCTION. 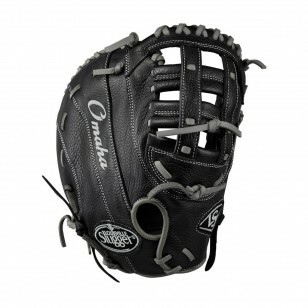 With soft leather, the 125 Series is ideal for players looking for minimal break-in. It is more than capable for young players and weekend warriors alike.